Although plants make a wonderful addition to any space, it can be difficult to accurately predict their watering requirements -- especially when you travel. 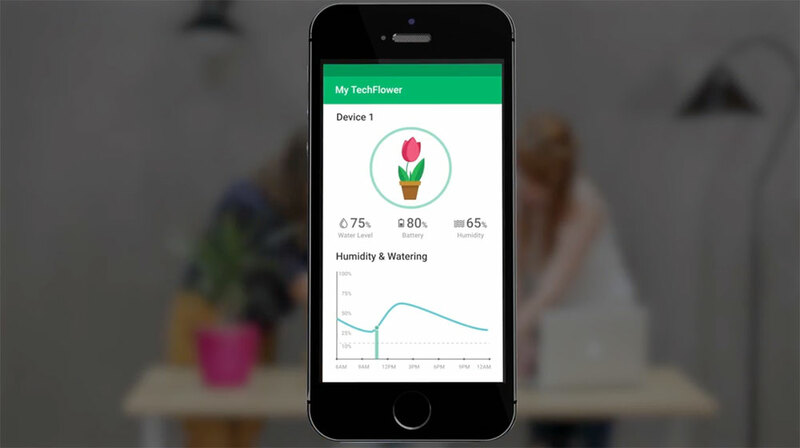 The TechKit Flower system solves this dilemma through a sophisticated (and stylish) Internet of Things (IoT)-based system that automatically monitors and waters your plants. The TechKit Flower system’s physical components include a flexible tube that connects a moisture sensor to a water vase. The system also consists of a software application that enables a user to set up a watering schedule based on the plant type, soil moisture level, and his or her preferences. Users can add a device or update a system’s settings on-the-fly from a mobile or desktop app, as well as get notifications when the water vase is empty or the batteries need to be changed. The app also allows a user to view detailed analytics on each system’s power level, water level, and more. The TechKit Flower solution — which was developed by Oleksandr Ivanov, Nataliia Gagarina, and Anna Dolnyk over a period of 12 weeks — was a winning proof-of-concept in GlobalLogic’s Global POC Challenge, a competition that gives our global engineers an opportunity to compete against their global colleagues and show off their design, development, and presentation skills. Learn more about how TechKit Flower works and was developed in the below video.